It's been a busy week here at Go Stay Work Play Live World Headquarters. First, some News About Pam. I received the paperwork for my next big international gig! I'm going to work on the Opening and Closing Ceremonies for the inaugural European Games, which will be held in June 2015. "European Games? What?" Yeah, I know. That's what I said too. Apparently when the European Olympic committee got together after London 2012 they decided they needed their own games just for European athletes, I suppose as a counterpoint to the Pan Am Games and Commonwealth Games and Asian Games and Left-Handed Games and Upside-Down Polka-Dot Dinosaur Games and whatever. No matter, if they're having a ceremony, I'll be there. And just exactly where will that be? Good question. Naturally, the inaugural European Games are being held in the first city you think of when you think Europe: Baku, Azerbaijan. "Wha...?" Yeah, again, I know. I was actually pretty sure Azerbaijan was fictional, located somewhere southeast of Narnia on the way to Mordor. But it turns out it's a real place! It's on the Caspian Sea, tucked between Georgia (not the peach one), Armenia, Iran and Russia. Yep, Russia. Baku is a mere 1,000km from Sochi. And while the official language is Azerbaijani (sometimes called Azeri), there's also a lot of Russian spoken. Irony can be dammed ironic sometimes, can't it? In fact, Baku is supposed to be an unexpectedly pleasant, pretty, fun place. Reports from those who are already there are really encouraging. So I'll be packing my bags again to start work at the beginning of November. There are also other big developments on life in London that came to a head this week, which are definitely a whole other post, or perhaps even a whole other blog (don't hold your breath for that). 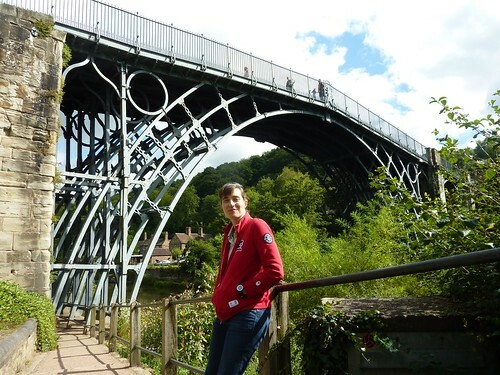 In the mean time, let's move on to today's topic, which I visited on a Grand Day Out this week: the Iron Bridge. Who doesn't love a good bridge? That's solid iron, with my hand for scale. 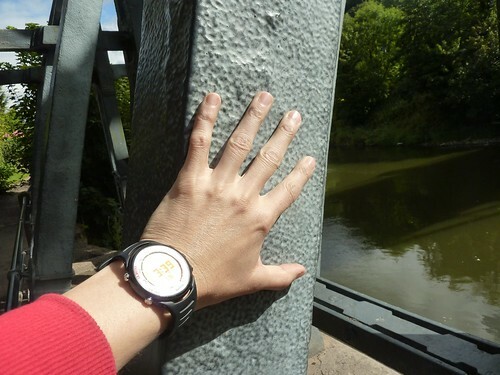 A consequence of the vast weight of iron used in the bridge (more than 378 tons) is that it puts enormous pressure on the stone abutments on either side of the bank, which started to show cracks as early as 1784. 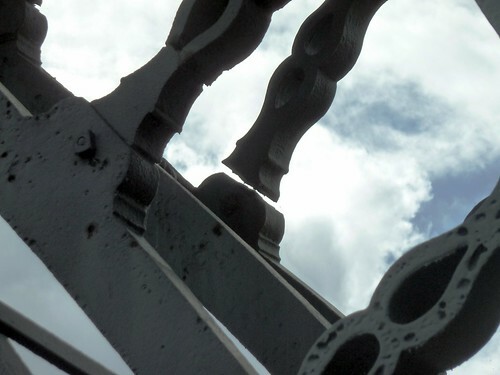 Repairs and replacement to the stonework have been an ongoing theme of the bridge’s life, culminating in the installation of an upside-down underwater reinforced concrete arch in the riverbed in the mid-1970s, which helps hold the two piers apart. 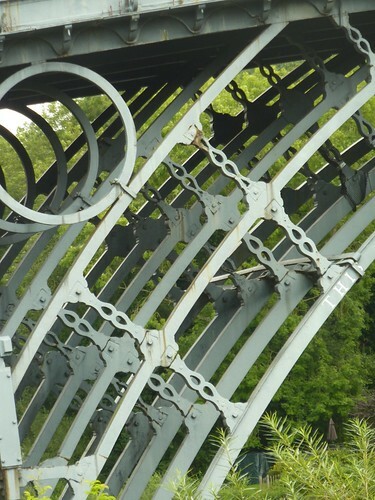 The ironwork also shows signs of wear, with many pieces suffering serious cracks. Keep in mind this was long before people got used to the idea that all the bits in big structures need room to expand and contract, so it's not surprising that the whole thing is riddled with breaks. 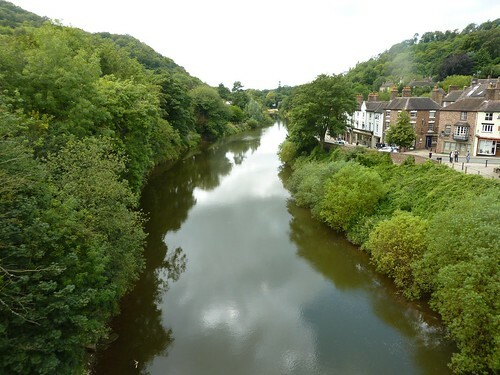 The bridge was closed to vehicle traffic in 1934, having been in use for more than 150 years. It remains open for pedestrian use today, and was still charging a toll to each person passing over until 1950. Apparently even royalty were not exempt from the charge. There’s a little museum in the tollhouse on one side of the bridge, and it included pictures of Prince Charles visiting the bridge and ceremonially paying the toll with a penny from 1779. The museum also had some nice displays about how they think the bridge was actually assembled, including a nice model. 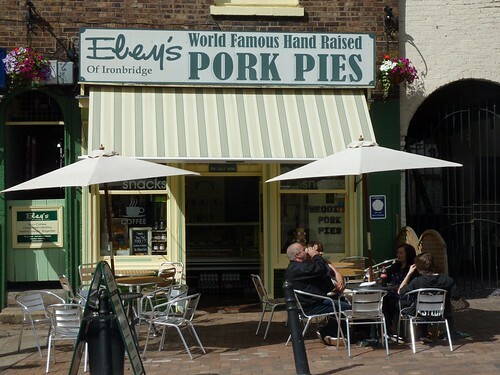 And if you go you should definitely visit the pork pie shop on the other side of the gorge. Well worth the trip - hand raised, spicy, with nice chunky bits of pork and savoury jelly. The bridge was actually just a fun detour on the way home from the real purpose of the Grand Day Out. So once we completed our main mission, and the detour to the bridge, my fellow adventurer - the Officer in Charge of Iron Smelting Explanations, Driving and Diesel Engine Inspection - and I - the Office in Charge of Navigation, Catering and Broadway Show Tunes - took another detour to Hemel Hempstead to visit a Magic Roundabout, which astute Go Stay Work Play Live readers will remember from last week’s post. 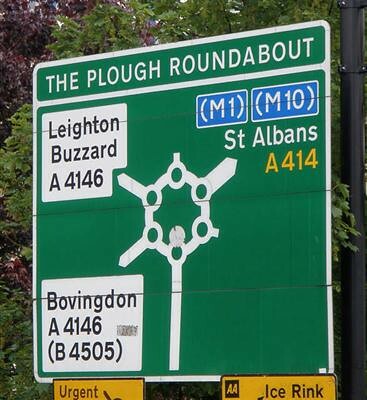 This particular iteration of the magic roundabout concept includes SIX mini roundabouts arrayed in a larger overall roundabout configuration, which we piloted for several circuits in a zippy rented Fiat. It turns out to be not bad, but very disconcerting when you end up going what feels like the wrong way around the inner ring of the roundabout. I still don't quite understand the point, despite the best efforts of the OiC ISE, D & DEI to explain why multiple mini roundabouts actually increase the flow of traffic. But it was fun, really. And just because it had to be done, we stopped for photos of this sign. 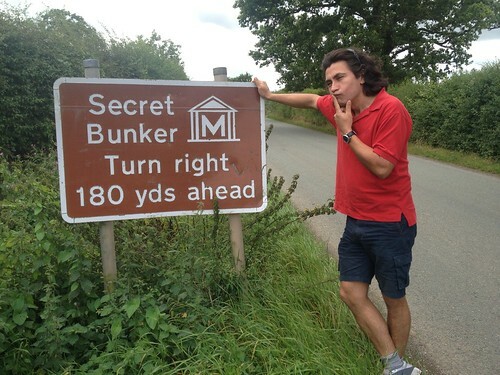 We didn't visit the Secret Bunker because it cost £8.50 and it wasn't even located appealingly far underground. But this is a gratuitous picture of the OiC ISE, D & DEI trying to figure out where the Secret Bunker is. "I'm sure it's around here somewhere... If only it wasn't so damned secret!" Oh, and did I mention that we swung by Warwick Castle too? And went for a nice Italian dinner in Berkhamsted? And still made it back to London in time for a gin and tonic? Truly, it was a Grand Day Out. Specialist Subject for the week: Words!